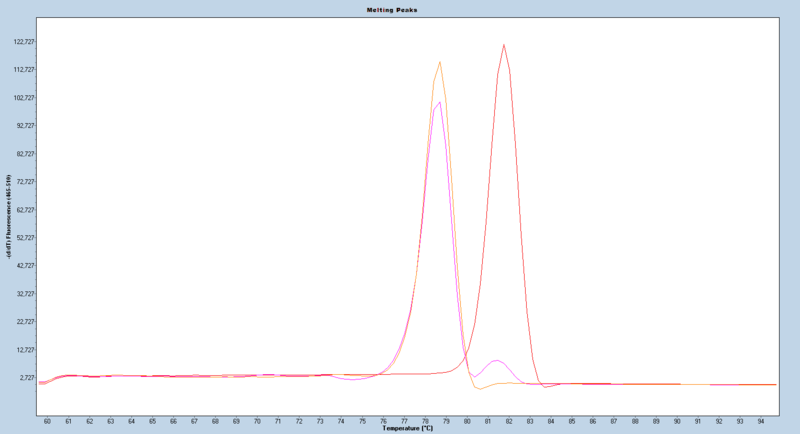 Normalized melting curves illustrating positive control (red), the assay calibration control (blue), and negative control (orange) of FHIT templates supplied with the MethylDetect FHIT kit. 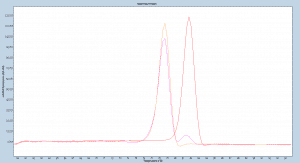 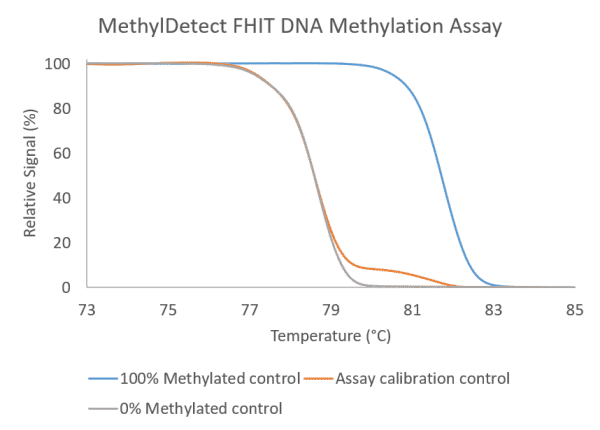 Results obtained following the MethylDetect FHIT kit protocol, using the LightCycler® 480 High Resolution Melting Master. 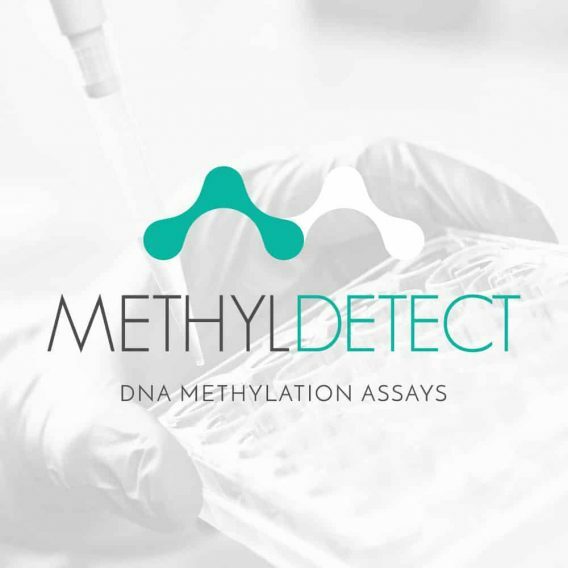 After PCR, the amplicons were analysed by high resolution melting curve analysis, and the data evaluated using the LightCycler® Gene scanning software. 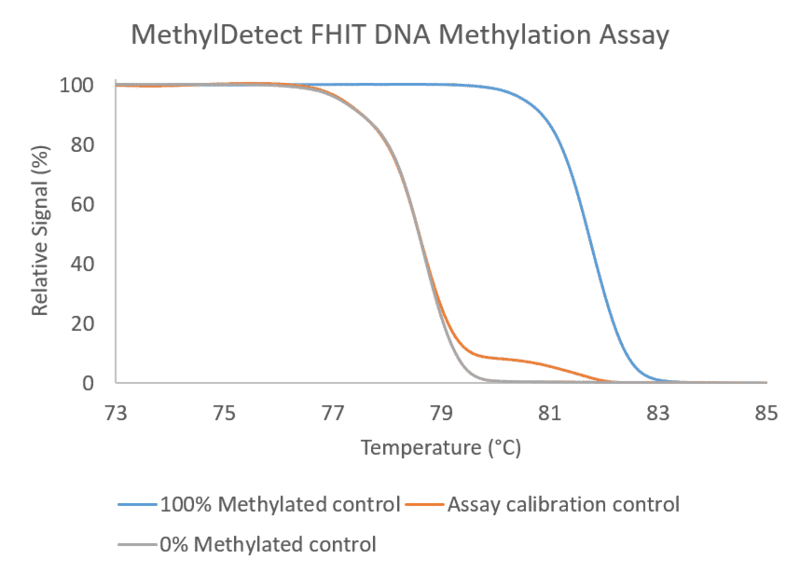 Relative signal difference (d/dT) plot illustrating the positive control (red), the assay calibration control (blue), and negative control (orange) of FHIT templates supplied with the MethylDetect FHIT kit.